This article is about the American author. For the British composer, see Mark Bowden (composer). For the United Nations official, see Mark Bowden (United Kingdom). For the body language expert, see Mark Bowden (body language expert). Mark Robert Bowden (born July 17, 1951) is an American journalist and writer. He is a National Correspondent for The Atlantic. He is best known for his book Black Hawk Down: A Story of Modern War (1999) about the 1993 U.S. military raid in Mogadishu, Somalia. It was adapted as a motion picture of the same name and received two Academy Awards. He is also known for Killing Pablo: The Hunt for the World's Greatest Outlaw (2001) about the efforts to take Pablo Escobar, a Colombian drug lord. Born in 1951 in St. Louis, Missouri; Bowden is a 1973 graduate of Loyola University Maryland. At college he was inspired to embark on a career in journalism by reading Tom Wolfe's book The Electric Kool-Aid Acid Test. From 1979 to 2003, Bowden was a staff writer for The Philadelphia Inquirer. In that role he researched and wrote "Black Hawk Down" and "Killing Pablo," both of which appeared as lengthy serials in the newspaper before being published as books. He published two books prior to these, "Doctor Dealer" and "Bringing the Heat," both of which were based on reporting he originally did for the newspaper. He has since published nine other books. 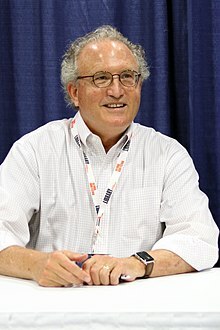 Bowden is a national correspondent for The Atlantic, and has contributed to Vanity Fair, Esquire, The New Yorker, Men's Journal, The Atlantic, Sports Illustrated, and Rolling Stone. Some of his awards are listed below. He has taught journalism and creative writing at Loyola University Maryland, and was Distinguished Writer in Residence at the University of Delaware from 2013–2017. He lives in Kennett Square, Pennsylvania. Former Florida State Seminoles football coach Bobby Bowden is first cousin to Mark's father. From June 2012 through March 2013, the legal blog Trials & Tribulations (T&T), which reports on California trials and legal affairs, ran a seven-part series titled "Fact Checking Mark Bowden's Curious Vanity Fair Article on Stephanie Lazarus". This series disputes elements of Bowden's July 2012 Vanity Fair article, "A Case So Cold It Was Blue". The author suggests that Bowden may have created quotes and states of mind of principals to fit his story, and questions whether the journalist had conducted relevant interviews or attended a single day of the murder trial of former LAPD detective Stephanie Lazarus, although this case was the centerpiece of his story. Part VI of the series, published on T&T in October 2012, noted that Cullen Murphy, Bowden's editor at Vanity Fair, declined to comment on the record about the allegations related to Bowden's article. Part VII, published in March 2013, said that Bowden, who was not approached about the blog's allegations prior to their posting, had since declined to respond to questions posed by the website's blogger regarding his article. The Bush Administration has adopted exactly the right posture on the matter. Candor and consistency are not always public virtues. Torture is a crime against humanity, but coercion is an issue that is rightly handled with a wink, or even a touch of hypocrisy; it should be banned but also quietly practiced. Those who protest coercive methods will exaggerate their horrors, which is good: it generates a useful climate of fear. It is wise of the President to reiterate U.S. support for international agreements banning torture, and it is wise for American interrogators to employ whatever coercive methods work. It is also smart not to discuss the matter with anyone. In The Men Who Stare at Goats by Jon Ronson, he noted Bowden's article as a reference to the CIA's Project ARTICHOKE. This program developed physical methods to use during interrogations that Ronson noted could be brutal or fatal. Bowden believes young people are just as drawn to "deep" journalism as other generations have been. He said in March 2009: "Nothing will ever replace language as the medium of thought, so nothing will replace the well-written, originally-reported story, or the well-reasoned essay." The Best Game Ever: Giants vs. Colts, 1958, and the Birth of the Modern NFL (2008; ISBN 0-87113-988-X), about the 1958 NFL championship game; Bowden had assistance analyzing game film from Eagles' coach Andy Reid. Worm: The First Digital World War, about the Conficker computer worm (2011; ISBN 0-8021-1983-2); first covered by Bowden in "The Enemy Within", The Atlantic (June 2010). Bowden, Mark (June 2013). "Abraham Lincoln is an idiot : the difficulty of recognizing excellence in its own time". The Atlantic. 311 (5): 40–41. Retrieved 2015-07-06. ^ "My First Literary Crush", Salon.com, November 15, 2005. Retrieved January 9, 2011. ^ "Fact Checking Mark Bowden's Curious Vanity Fair Article on Stephanie Lazarus"
^ "The Dark Art of Interrogation", The Atlantic, October 2003. Retrieved September 12, 2010. ^ "Special Guest: Mark Bowden (Part 2)", Bellum, A Project of The Stanford Review, March 17, 2009. ^ Taylor, Ihsan, "The Best Game Ever: Interview With Mark Bowden", The New York Times, December 25, 2008, 12:55 am. Retrieved 2011-08-17. ^ "The 'Worm' That Could Bring Down The Internet", author interview (audio and transcript), Fresh Air on NPR, September 27, 2011. Retrieved 2011-09-27. ^ Leane, Rob (July 7, 2017). "Michael Mann to direct a Vietnam War TV series". denofgeek. Retrieved July 21, 2018.